The terrifying prospect of women having a vote in 19th-century Australia was a direct challenge to their authority and leadership. They were, after all, the legislators, judges, captains of industry, army generals, naval commanders, explorers and religious leaders. This patriarchal world unequivocally deemed women as subordinate, the ‘other’. They were expected to be wives and mothers, economically dependent and with no political rights. 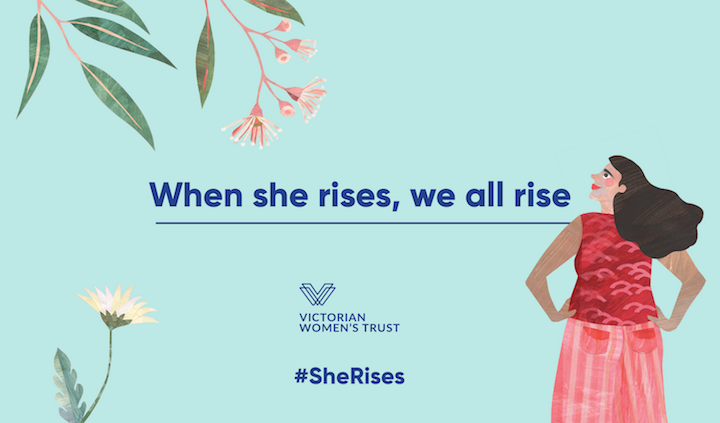 For a century and a half, huge numbers of Australian women have mobilised around gender equality. Five or more generations of Australian women have spent lifetimes striving ‘for the same rights and privileges as their brothers’. Indefatigable advocates and reformers, they have lobbied, led deputations and flocked to Royal Commissions. They have been pained and frustrated by tensions and divisions within the broadly defined women’s movement, as well as enjoying the support of men when allied with their cause. They have wrested money from begrudging governments for various of their demands; moved into traditionally male domains, often at significant personal and professional cost; and been scorned in the media. Brave and at times defiant, women have protested, marched, taken strike action and imposed boycotts. But these considerable social improvements mask the unchanged. Despite milestones and markers of real achievement there remain significant barriers to achieving gender equality. The major roadblock is that our society is still imprinted with stubborn hallmarks of patriarchal social organisation. The changes demanded and fought for by women so far have been accommodated without too much disturbance to the deep, underlying beliefs and behaviours of an essentially patriarchal society. Old habits die hard. The patriarchal edifice of the late 19th century has been sandblasted and become vastly more civilised. But the ‘internal’ structural arrangements and cultural fittings that advantage men at the expense of women have not yet been satisfactorily redesigned. The culture of male dominance that compelled women to establish their own union in the 1880s because male unionists refused to admit women revealed itself in the excruciating double standards applied to Julia Gillard when she served as the nation’s first female prime minister. It is repeated in the way that abusive social media trolls feel licensed to silence women because they dare to break the unwritten rule that insists women are subordinate and must stay silent. In contemporary Australia, men still hold most economic and political power. Men mostly pull the levers of policy and maintain control over business activities, not-for-profit sectors and spheres of government. They mostly make the calls on fiscal and budget priorities — defence, education, environment, health and welfare, transport, infrastructure and violence prevention. They mostly determine the shape and outcomes of public debate. Gendered inequality persists today because our society is still structured and organised along patriarchal lines — in a labour market that advantages men unencumbered by domestic responsibilities; in powerful, deep-seated sexist beliefs that deem women subordinate as well as objectifying them; and in our political system in which women remain minority players. The widespread benefits of gender equality are too great to be squandered by inertia or indifference. Accommodation within a patriarchal order has won social and material reward but it is insufficient to achieve equality. The required social transformation can only come about through non-acceptance, and disturbance, of our patriarchal status quo. While born and sustained within a patriarchal framework, our existing representative forums, labour market, economic and cultural institutions, and major policy instruments are not a given. They remain creations. They can change. …the significant reminder from the past is that equality will only be achieved from deep changes to our existing patriarchal order — changes made on women’s terms as much, if not more so, than on men’s. This will require a significant scaling up of the women’s movement which, over the past two or so decades, has become relatively atomised compared with the massive organisational memberships and alliances characterising women’s efforts in Australia’s interwar years. It will also require a focus on forming smart activist strategies in a lightning fast digital environment where there is a risk of illusory solidarity without effecting necessary change. It will require considerably greater joint effort where men — in their homes, families, communities and workplaces — readily and in increasing numbers, stand alongside women and step up their efforts in dealing with pervasive and entrenched inequalities. It is one thing to sport a lapel badge or ribbon, pledge sympathy and convey a kinder, more empathic disposition. It is another to make meaningful public commitments to change the very structures that create and maintain gender inequality in the first place. © Mary Crooks AO 2018. This is an edited extract of the essay Destination Equality by Mary Crooks AO from the collection Fragility and Hope in a World of Uncertainty; Future Leaders. Available now in print and e-book. Chip in and help fund a future where all women and girls can rise. 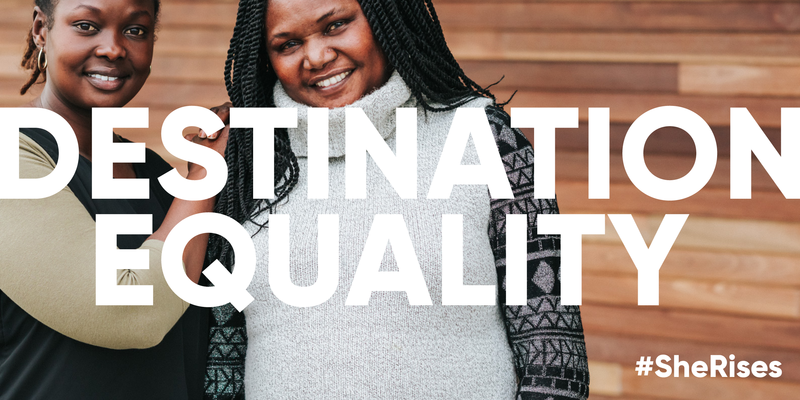 Gender equality benefits our whole community — women, men, children — everyone.